As both a recreational cannabis dispensary and a medical dispensary, DiamondTREE provides a wide selection of cannabis to customers throughout Oregon. They have three Central Oregon locations, including dispensaries on both the east side and west side of Bend. They are open for business seven days a week and welcome adults who are 21 and older. 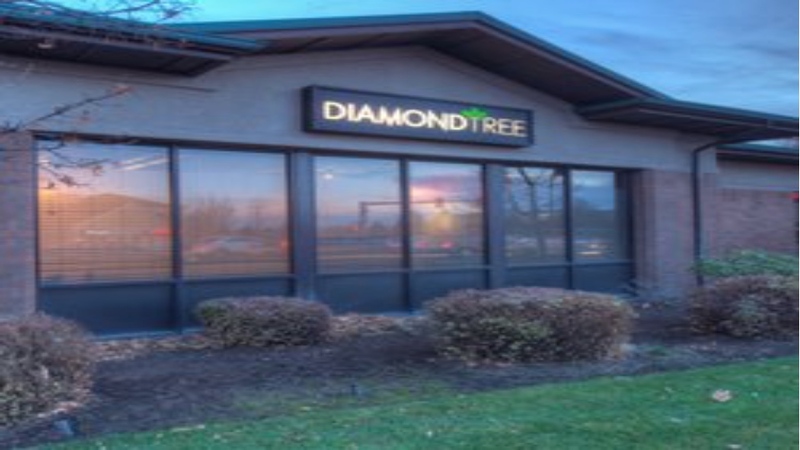 DiamondTREE strives to provide the highest quality products available in a convenient way. They offer a wide selection of medical and recreational marijuana products at both of our Bend cannabis dispensaries and also give customers the opportunity to order their products online. All flower is available for purchase in any amount; they do not maintain minimums (and the maximum purchase amount are set by the state and depend on the possession of an OMMP card). Cannabis is often purchased in grams, eights, quarters and ounces, and the prices for each are clearly marked. In addition to selling flowers, they sell pre-rolls, concentrates, edibles, topicals, and seeds and clones. Most products have an in-depth description that provides details on the taste and scent.